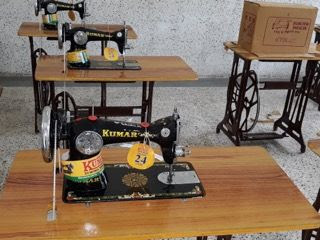 For years Loren and I have had a BIG dream that we shared with our staff of providing a gift of tools, sewing machine, computer or whatever would help each student in their trade to a better life after graduating from Prakash Institutes. This year God provided an AWESOME BLESSING. One of our staff’s college classmates runs an organization and was contacted by our General Director and VOILA gifts for each student. WE WERE BLOWN AWAY. They didn’t tell us until they had each gift in hand because it was almost to good to be true. 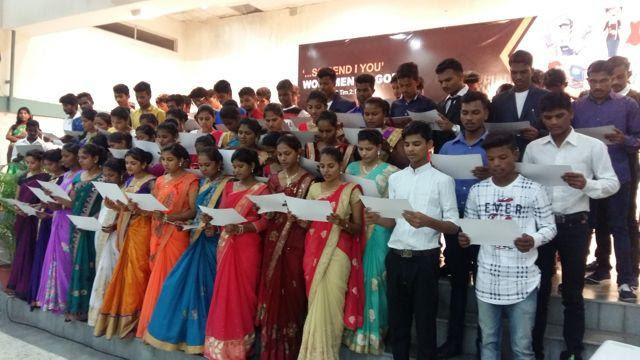 “The graduation for the current year batch was held on 28th July 2018. The students were so excited about it that they were preparing for it for almost a week . . . cleaning, checking lights, cleaning fans and chairs of the auditorium, painting pots and so on. The girls were giving each other facial massages and applying mehndi as learned in the beauty parlour class. It was fun to watch them. They all wore saris on their graduation day. Some brought their mother’s, sister’s, or neighbor’s saris to wear and some had their own. That meant they had to make sure the choli blouses fit them well. All the Dress Making and tailoring students made sure that the blouses fit well on their friends. 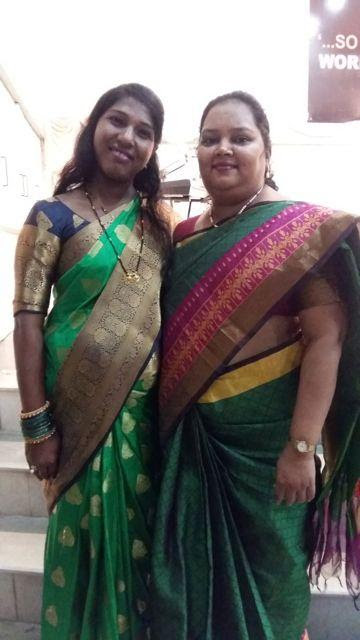 They tried different hairstyles on each other and also learned how to wear saris. There was a special class on different types of saree draping and stitching. Finally, the day arrived and they entered the auditorium beautifully draped and skillfully dressed, looking elegant! Soniya, our computer teacher, and I were mistresses of the ceremony. The program began with prayer and praise and worship. The General Director welcomed all the dignitaries and the guest present. We welcomed them with a sapling of rose. 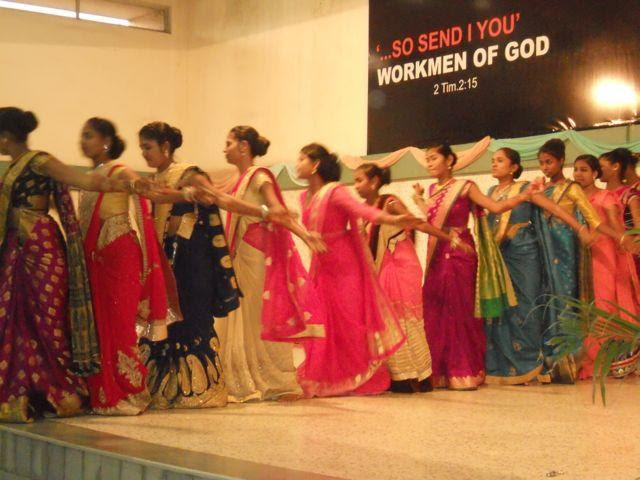 The girls presented dances and everyone enjoyed it a lot. Nagesh shared the vision of Prakash and the presentation of activities on the power point. Each class received their certificate and one tool kit, which was nicely wrapped. 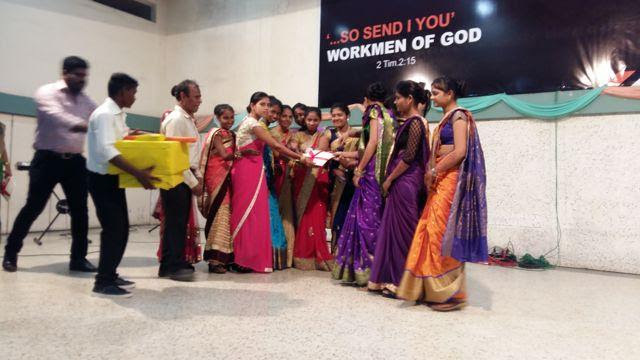 All the people present were in awe as they heard what each student is receiving as a gift. The donors did not want us to disclose their name nor did they want us to give away the gifts through the hands of any of them. So, it was not announced who gave the tools. The program ended with a prayer of dedication for the graduating batch and vote of thanks by the General Director. A delicious vegetarian dinner was served after the program. A few responses of students to the gifts they received. Manisha – Pre- School student: I am really thankful to God; I am blessed to have come to study in RGI. I got this kit consisting of white board, pin board, green board, chalks, duster, various flash cards and charts as a graduation gift. 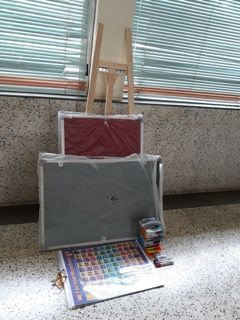 I will use this to start my own tuition classes, English classes and I will also run art and craft classes at home. I will us the kit for the benefit of the needy students. I will also use the beauty parlour kit to start giving beauty treatment to the women and girls around me. 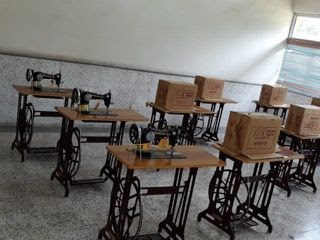 Janki – Tailoring student: I am thankful to all who gave me a sewing machine, now I will be able to stitch clothes for others and also use it to teach sewing to others. Surbhi – Dress Making student: I am thankful that I got to study in RGI. I cannot thank you enough for giving me the sewing machine and the beauty parlour kit too to take home as a graduation gift. I promise that I will work hard and will make the most of the tool kit given to me. 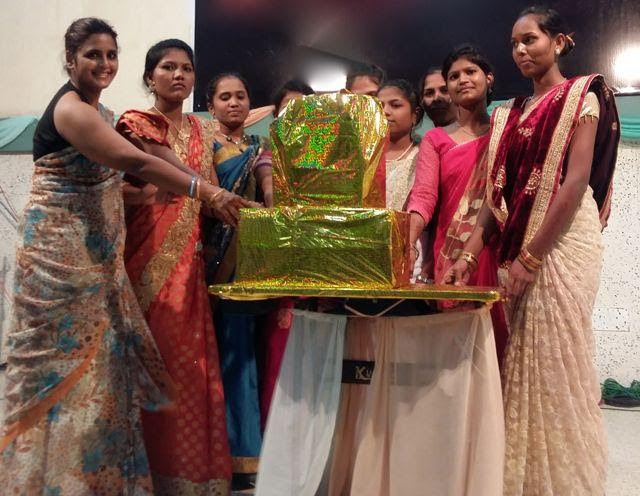 Priya – Dress Making student: I will not need to work for anyone else as I got the sewing machine. Now I can start my own business as soon as I go home. I will not need to step out of the house to earn money. 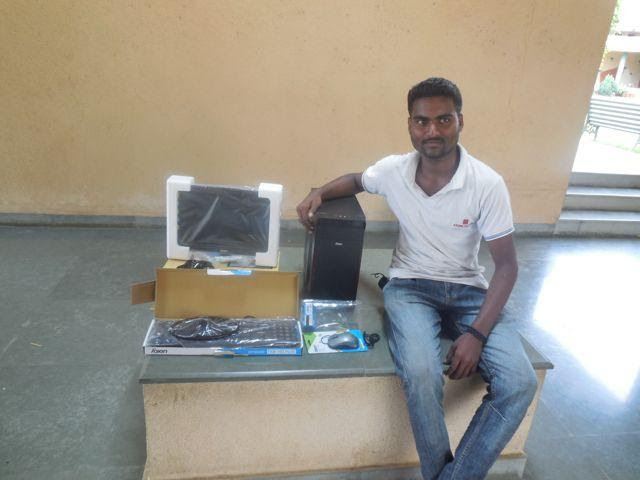 Sanjay – Computer student: I came to RGI to study computer. I got a computer as my graduation gift. When I go home I will work as a data entry operator from home and also teach computer to the children in my native place. I am thankful to Prakash for the gift. God bless you all. 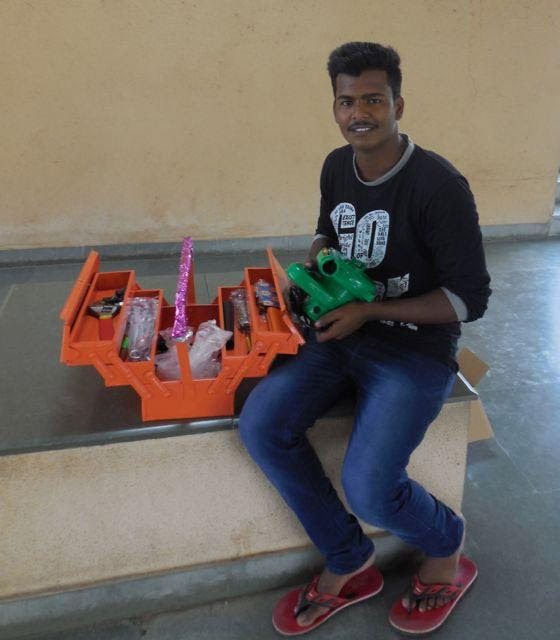 Tushar – Electrician student: I had no money for education and normal degree in any other college would have never given me a job. But training in Prakash will help me to get a good job for and will help me to earn my livelihood. 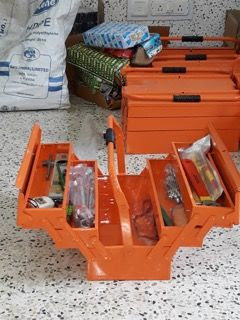 The gift of a complete toolbox means for me to start my own business.